There have been three times in my life that I’ve cried in a museum or memorial because of how raw the material is. We’ve been to the Jewish Museum in Berlin, Dachau concentration camp, and most recently the Berghof documentation center. The one thing these places have in common is the Nazi era. All these places brought me into a very emotional state. 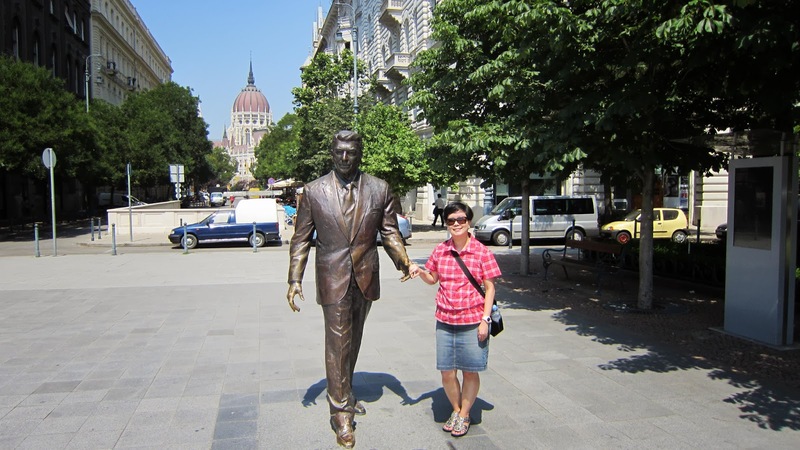 Budapest struck me a fourth time. 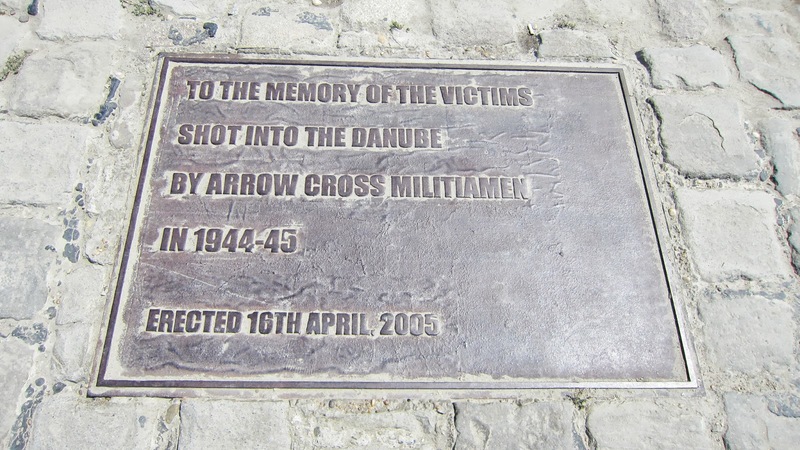 In Budapest, there is a memorial that pushed me over the edge. 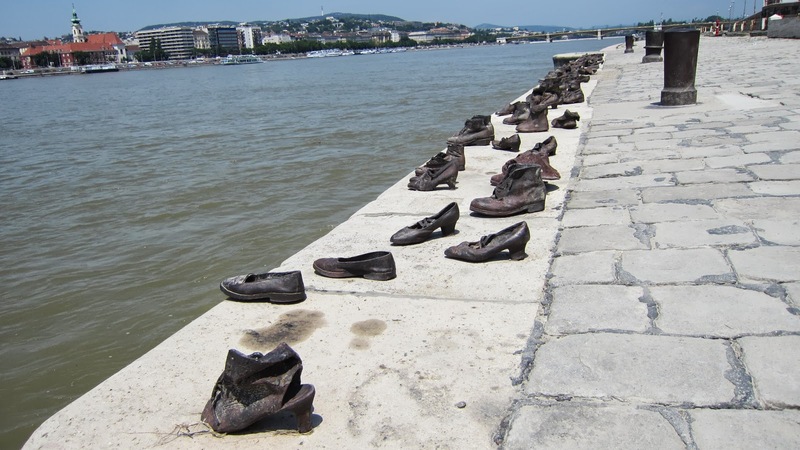 It’s called “Shoes on the Danube”. Sculptors Gyula Pauer and Can Togay have created this memorial for Jews who were forced to strip naked and face the river, to be shot dead and washed away. 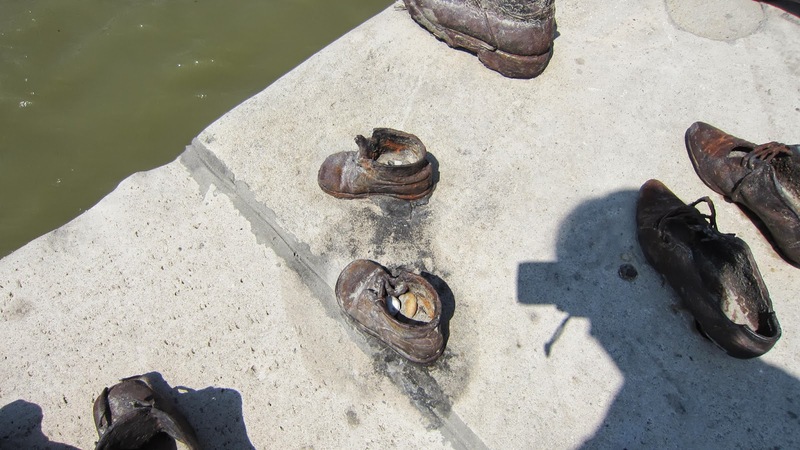 The bronzed shoes depicted all the women, children, and men who were so callously killed. There are about 60 pairs of shoes, and even on such a hot day, Hubs and I were there for a good 25 minutes looking at each pair. 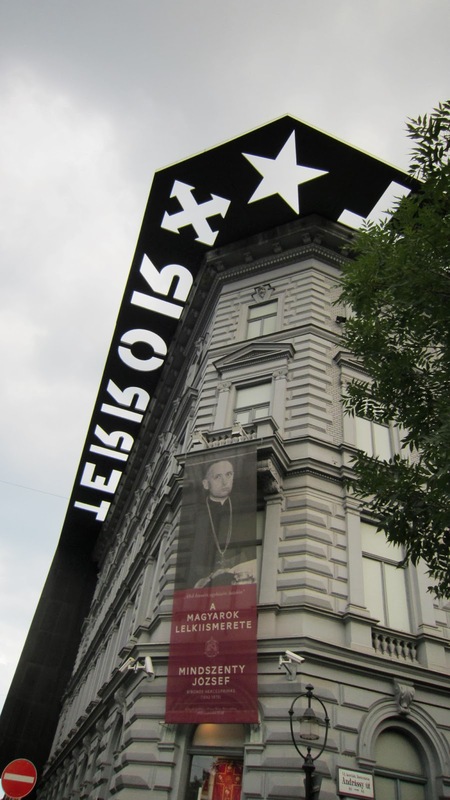 We also went to the House of Terror, which is a great museum that has exhibits about the communist era and the acts of evil they committed against the Hungarians. 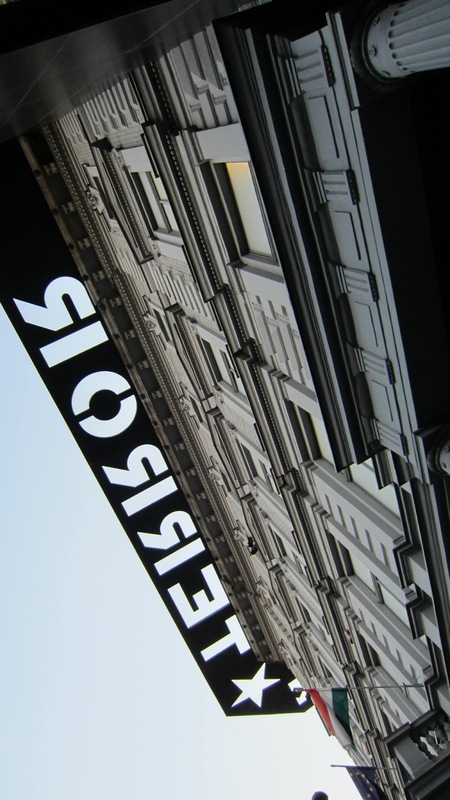 The museum also pays tribute to the victims who were detained, and even killed, in this building. 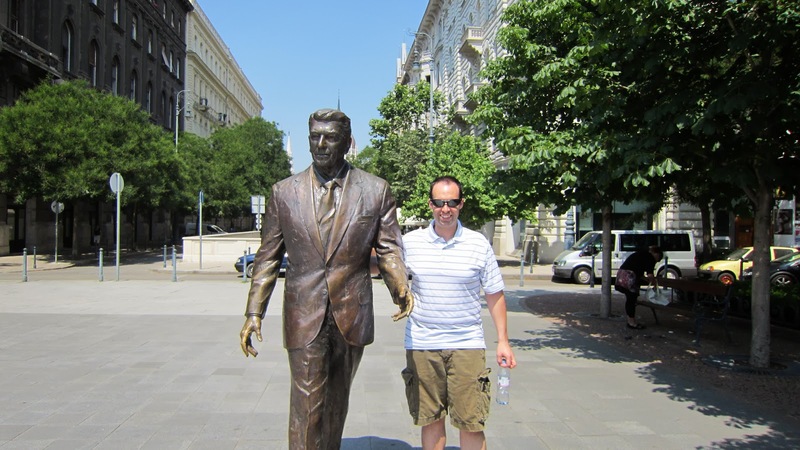 On a lighter note, we went by the U.S. embassy (we were not allowed to take photos of it) and had our picture taken with a bronze statue of Ronald Reagan.